The United Kingdom is home to nearly 3 million people who were born elsewhere in the European Union and migrated to the UK to work and live. Among EU member states, the UK is second only to Germany in the number of EU-born immigrants residing within its borders. One of the looming questions as Brexit talks get underway is the status of these internal EU migrants. 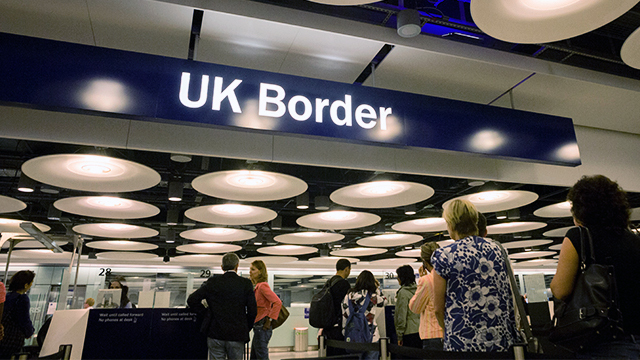 In the UK and elsewhere, EU migration has become a subject of debate. Despite losing their Parliamentary majority in this month’s election, Theresa May’s Conservative Party, which has promised to reduce immigration, is still the largest party in the UK government. Last year, the UK voted to leave the EU, with some supporters of the Brexit referendum saying they wanted to close the UK’s borders to other EU nations as a way to reduce migration. And in a new Pew Research Center survey, majorities in nine European countries surveyed said they want national governments, not the EU, to make migration decisions of EU and non-EU citizens into their nations. Besides Germany and the UK, other nations with large EU-born immigrant populations in 2015 include France (2.3 million), Spain (2 million) and Italy (1.9 million). In Luxembourg, EU immigrants made up 39% of the population in 2015, the highest share of any EU country, followed by Ireland (12%). Nations with large immigrant populations had lower shares, including Germany (7%), France (4%) and the UK (4%). Meanwhile, the EU countries with the highest number of emigrants (people who move from their birth country) living in other EU countries as of 2015 include Poland (3.5 million) and Romania (3 million). Migrants leaving Poland have largely settled in Germany and to a lesser extent the UK, while Romanian migrants have largely settled in Italy, Spain and Germany. Other top origin countries of EU emigrants include Germany (1.8 million), Italy (1.4 million) and the UK (1.2 million). In percentage terms, however, Luxembourg had the highest share (14%) of its birth population living in other EU countries in 2015, followed by Romania (13%) and Ireland (12%). Notably, in the UK, France, Germany and Spain – countries that receive many EU migrants – only 2% of each of these countries’ birth populations have moved to other EU countries. Of course, migrants from outside the EU also live in EU countries. As of 2015, in fact, non-EU migrants made up nearly two-thirds (63%) of all migrants living in EU countries. The largest numbers come from Turkey (2.6 million), Morocco (2.5 million) and Russia (2 million). More than a million were born in Algeria (1.6 million), India (1.2 million), Ukraine (1.1 million) and Kazakhstan (1.1 million).